Review what others say about us! I just wanted to drop you a note to thank you for your kind help this weekend when we contacted you on Saturday night. Your assistance over the phone as well as your patience in explaining exactly what needed to be done was definitely appreciated. Your follow up with us on Sunday morning was also exceptional. It was so refreshing to actually deal with someone who clearly cares about their customers. We will keep your name and number close at hand should we need additional assistance along the way. We will also definitely recommend you to our friends and neighbors as you will always be #1 on our list. Call us 24 hours a day, 7 days a week at 608-206-5991. 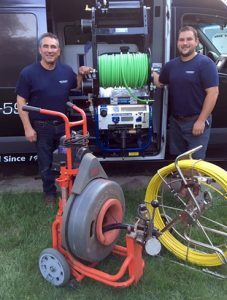 Our services are offered to all residential, commercial, industrial and septic customers! © 2018 Ripp Sewer and Drain Cleaning Services. All rights reserved.